The ace Director Shankar after “Nanban” is now busy with his next movie discussions. Already we know the next movie will be produced by Aacar V.Ravichandran and Music scored by AR Rahman. Vikram was roped for hero role. 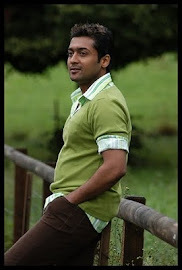 But some reasons Actor Surya replaced Vikram. Asia’s No.1 actor Jackie Chan playing very important role in this film. Director Shankar decided to approach Superstar Rajinikanth for cameo appearance in the movie. 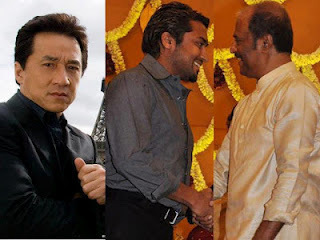 So now Asia Superstar Jackie Chan with Indian Superstar Rajinikanth shares the screen space with Surya.